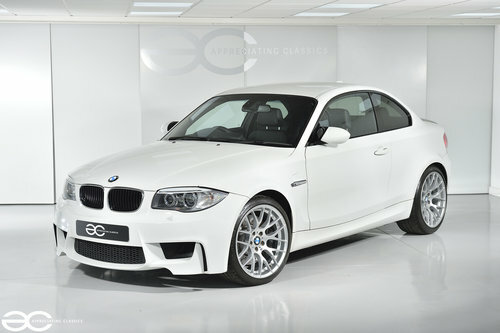 Here, we are delighted to offer a one owner from new BMW 1M Coupe with just 23k miles covered.. 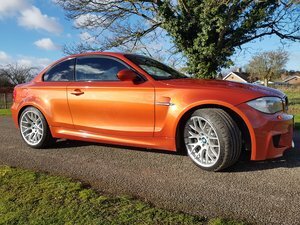 If you have ever read the reviews, or indeed watched one of the many video reviews of the BMW 1M Coupe & wondered if the hype is correct, then please allow us to confirm, these cars are just as good as the various reviews suggest, being absolutely fantastic to drive. With limited production numbers, and hailed as one of the best drivers cars that BMW has ever produced, this example makes for a great investment opportunity which can also put a huge smile on your face when you decide to take it for a drive and enjoy it. Nice specification, which includes, Media package – sat nav, bluetooth, usb audio. Also tinted windows, electric & memory heated seats, electric folding mirrors, and Harmon Kardon audio, plus more. With limited production numbers, superb driving dynamics, usability, low mileage, and one owner from new, with full history, this car is certainly not one to be missed! 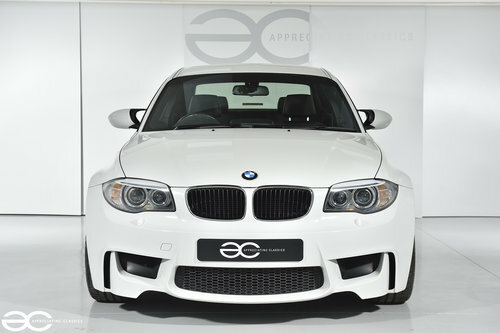 Purchased by the only owner on the 4th of November 2011, this example comes with full BMW history from day one – including the new vehicle invoice. The service history is as below. We also have the car booked in with our local BMW dealer to do a full service as required, so a 2018 BMW stamp and invoice will be present. All booklets are present, and contained within the original wallet, along with the original spare key of course. Very rare to find a one owner example of this limited production run vehicle, yet here we have one which has been with the original owner from new. 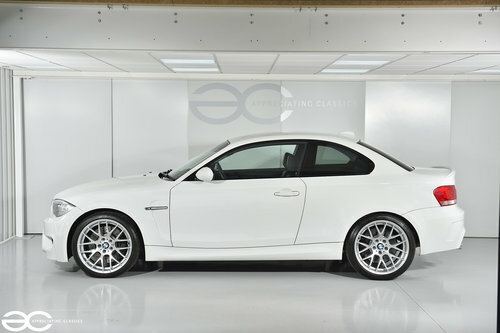 Finished in Alpine White (arguably the best colour for the 1M), this example is in original paint throughout. Having lived a pampered life, the car has never had any damage repairs, and all glass, lights, and badges are again – original. 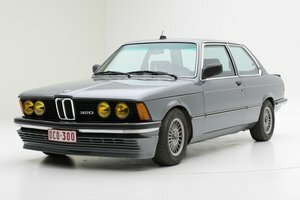 The car has had zero modifications and is exactly as BMW intended. All wheels are also in very good condition, with no kerb damage. 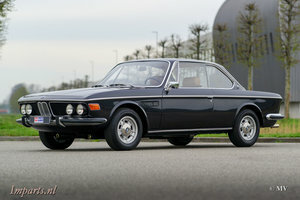 A few chips to the front of the car are present and are indicative of the mileage, with only one chip being of note, which is on the bonnet – this occurred when the car was just a few weeks old and the only owner could not bring himself to paint the bonnet so it has remained. 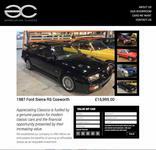 Most people would not even notice this but we can of course have the bonnet painted if any potential buyer so wished. Zero corrosion of course, having been kept in a indoor heated environment its entire life. A really fantastic looking car that presents very well indeed. 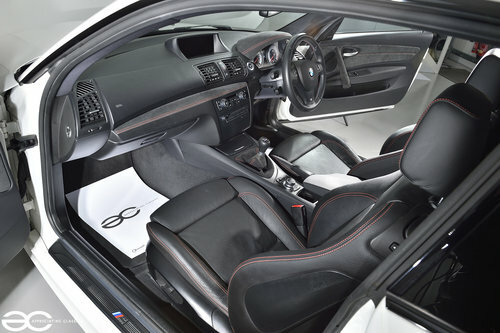 With many earlier BMW’s having been criticized for the interior design, this model does well to address this, with lashing’s of leather and alcantara, along with a great equipment level. With the low mileage and great care this car has had, the interior is in fantastic condition throughout, with all seats being without any signs of wear to the bolsters. The gearknob, handbrake handle, steering wheel, and pedal rubbers are all in great order also. Having a nice list of options, including the Media package – sat nav, bluetooth, usb audio. Also tinted windows, electric & memory heated seats, electric folding mirrors, and Harmon Kardon audio (which sounds great), plus more. The multimedia screen/system operates perfectly, and is very impressive in terms of usage. 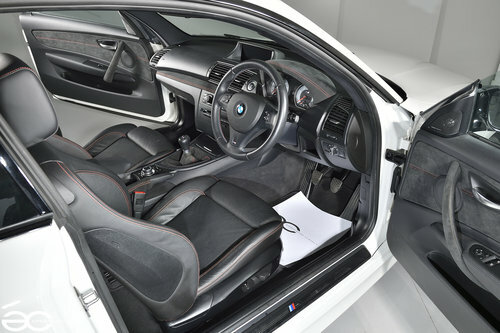 As with this car throughout, the interior presents really nicely, and is a great place to be. 3.0L straight six with twin turbochargers, boasting an impressive 335bhp and 332lb ft, mated to a six speed manual gearbox with a limited slip differential and switchable traction control for good measure. This really does deliver a fantastic drive, being placid and user friendly for general driving, just like any other ‘modern’ sportscar. However, turn off the traction control and put the car into ‘M’ mode (press of a button) and this car really does come to life. Superb performance is available, and this example has clearly been cherished so no unwanted flat spots, the car performs exactly as it should do through the rev range. No smoking at all from the car, either on start up, on boost or on overrun. 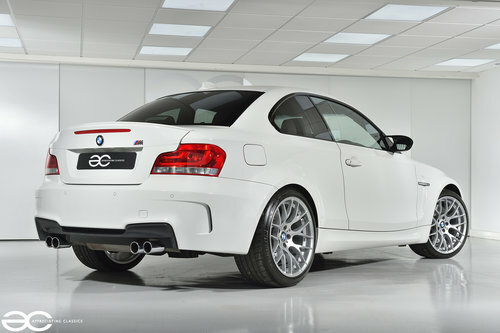 With many reviews hailing this as one of the best M cars to have been produced, we can certainly relate to that opinion. Of course, the running gear is all in good order. The clutch & gearbox are an absolute pleasure to use, with lovely precise gearchanges. The steering gives superb feedback at all times, and the brakes are fantastic. All wheels are in very good condition, with no kerbing damage and premium Michelin Pilot Sport tyres are fitted all round. If you know these cars, you know that they are absolutely brilliant to drive, sporting a proper limited slip differential (rather than later electronic diffs) and the chassis gives great balance and superb handling – this low mileage and well cared for example really lives up to the hype.